It's particularly fun working for RSVP/Sellers Publishing when they add special touches to the printing. 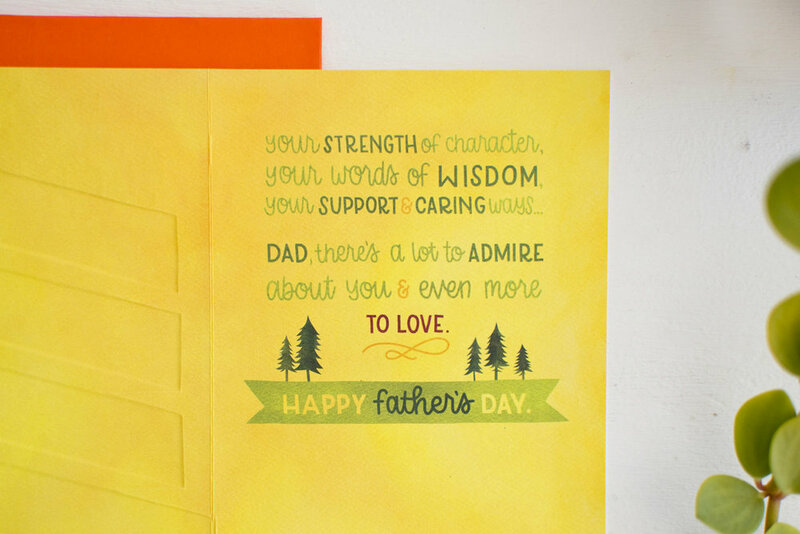 This special Father's Day card (released originally in 2017) is printed on their signature FSC certified textured paper with a gloss embossed banner to add texture and shine! "Endlessly thankful, eternally grateful for you, Dad." "Your strength of character, your words of wisdom, your support and caring ways. Dad, there's a lot to admire about you and even more to love. Happy Father's Day!"